Layer truss consist of Pillar, Horizontal Pipe, Diagonal Pipe, Adjustable Base, Joint pipe. Its construction is simple and stable. 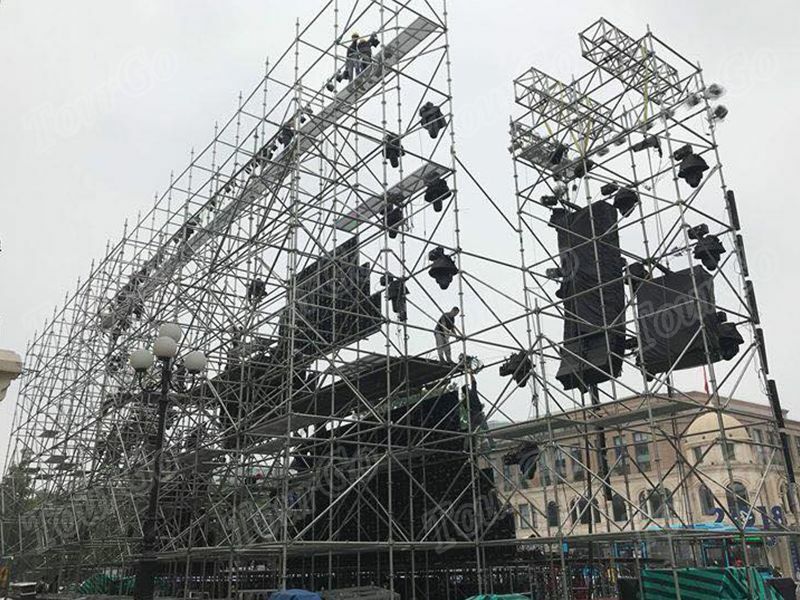 2) wide range of applications:Layer truss is mainly used for lifting the Line Array Speaker.lifting LED screen, Advertisement Picture. Widely used in different outdoor shows and events.